The twinkling lights of the city! 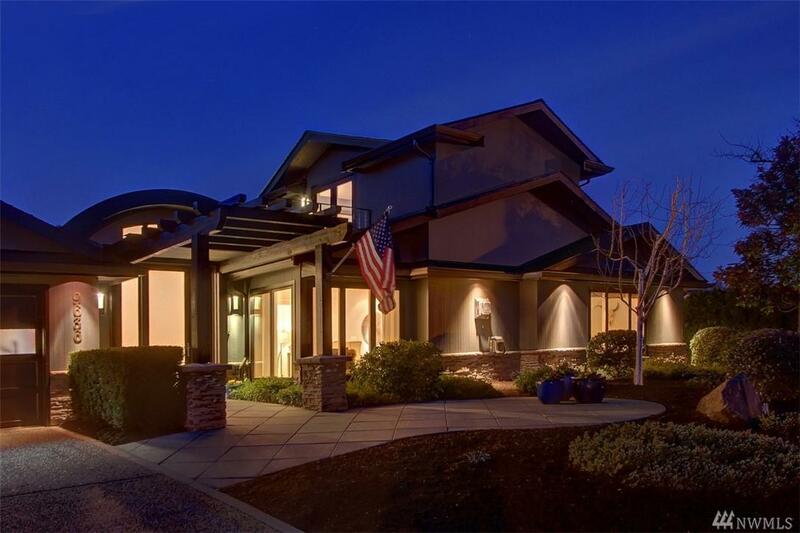 Striking Vuecrest Contemporary completely renovated & modernized. Sleek quality finishes. 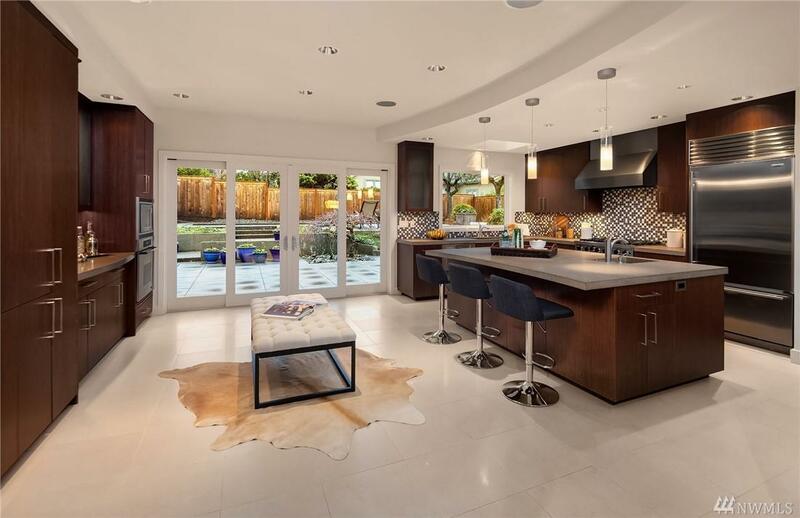 Main floor living w/ 2 mster suites & coveted Great Rm concept w/ perfect flow for entertaining. Epicurean's dream ktchn w/ state of the art appliances. 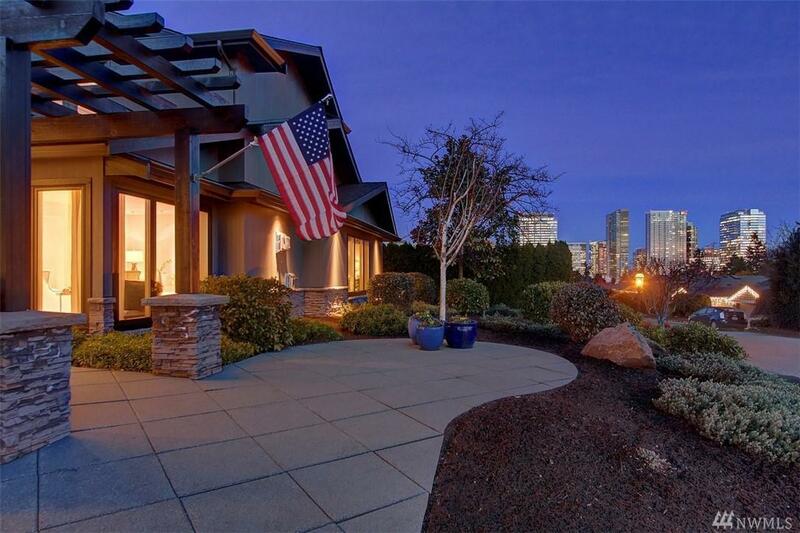 2nd story w/office & bright bonus rm boasting both Bellevue City & western views. 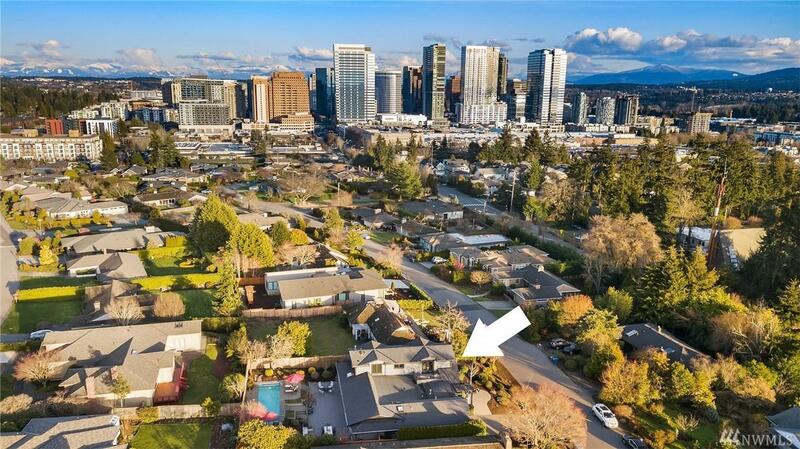 Outdoor oasis w/ huge patio, sparkling swimming pool & sunny grounds. Easy walk to downtown. Welcome home to the ultimate in urban living!